As the beginning of a new school year approaches, I am compelled to gently remind fellow educators of the huge responsibility entrusted to us. I know for most of you, this message is unnecessary. We, as teachers, chose this profession, or for many of us, it chose us. This means we painstakingly prepare our classrooms AND our hearts for the precious minds we are about to welcome into our lives. Abraham Lincoln wrote the most inspiring letter to his son’s headmaster, and I do not pretend to possess his talent or eloquence. Still, mine is a story of truth, and I share it because even almost a year later, it weighs heavy on my heart. Ready to head to school! My son, Isaac, had a rough beginning. He was born at 28 weeks. I had him later in life than many. He fought for his life in the NICU for months. He has proven to be a survivor. A fighter. And you can bet that with his unexpected early arrival and him being the first grandchild on both sides of the family, he is perceived as a special child. 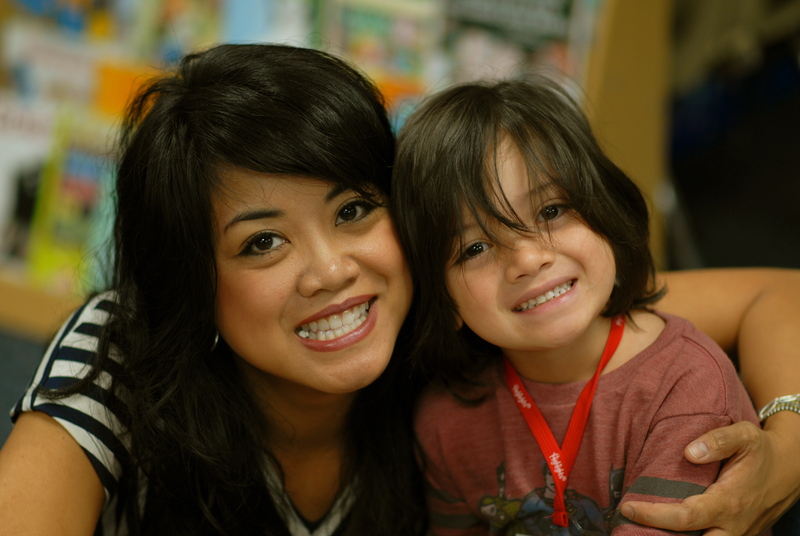 I approach this story as both a mother and an educator. Building relationships of trust with learners is crucial to my practice. Having worked in both urban and suburban settings, I know one thing that can make or break a learner’s experience in education: his or her relationship with the adults at school. Isaac and Mama—please excuse the gum. I am proud to be an educator. For the most part, I have faith in other teachers, administrators, and other equally important adults in school. My husband and I chose to live in a suburb with a reputable school district. Isaac’s experience at the Primrose School had been incredible. It was a balanced curriculum that recognized his intellect but still allowed him to be a kid. He consistently scored highest on tests. He was interested in reading and math and science. And playing. He’s still a kid for goodness sake. When my Isaac went to kindergarten in the local public school, I had no reason to expect anything other than a continuation of excellent education. The kindergarten orientation left my husband wary. He felt the principal was heavy handed and felt she thought it was her job to parent. I walked away still feeling optimistic— resigned to the idea that my Isaac would thrive. I should have listened to my husband’s instinct. 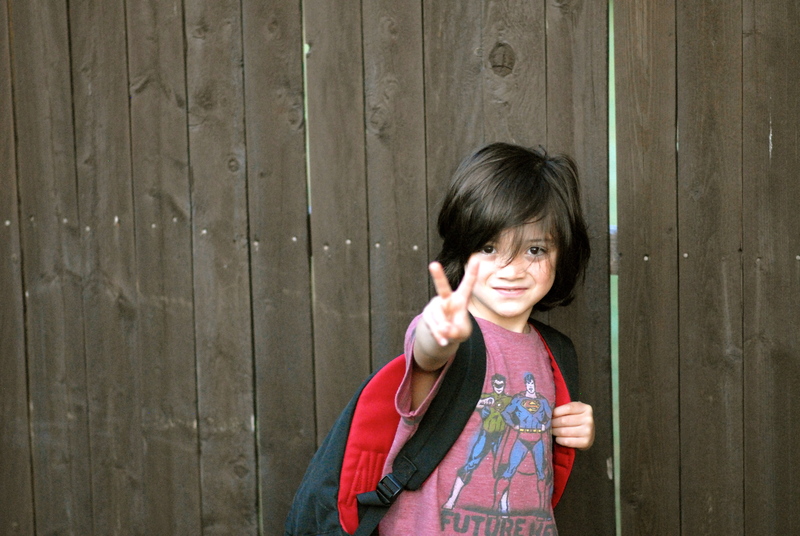 When the momentous occasion arrived of Isaac’s first day at school, of course, we accompanied him to his classroom. We found his seat. He completed the directions at his table. That is the type of child he is. Empathetic. Kind. I wrote her behavior off as first day of school jitters. Too many kids at once. Too many parents asking questions. I still believed Isaac would have a great day… a great year. I know Isaac isn’t perfect. He’s young for his grade. He’s the only child. He’s spoiled… not a brat… just spoiled. So when he wasn’t getting blue stars on his behavior folder, it came as no surprise. I don’t expect him to be the perfect child. But on Friday morning of that same week… yes, the first week of school, when I received a telephone call from Isaac’s school counselor, I knew something was wrong. Apparently, the principal asked her to call. What? The school counselor and now the principal is involved? My mind was racing. “We are calling because this morning in line to go to his classroom, Isaac could not keep his hands to himself,” the counselor announced. Oh my God! Did he hit someone? Bite someone? Apparently before school when Isaac was in line behind a Primrose friend, Isaac was poking at his backpack. His friend was laughing. Isaac continued to poke it. The principal told him to stop. His friend was still laughing. Isaac continued to poke. His principal pulled him out of line and sent him to the counselor’s office. Wait… you’re calling because Isaac was touching someone’s backpack that got him sent to the counselor’s office by the principal? Wait… Really? 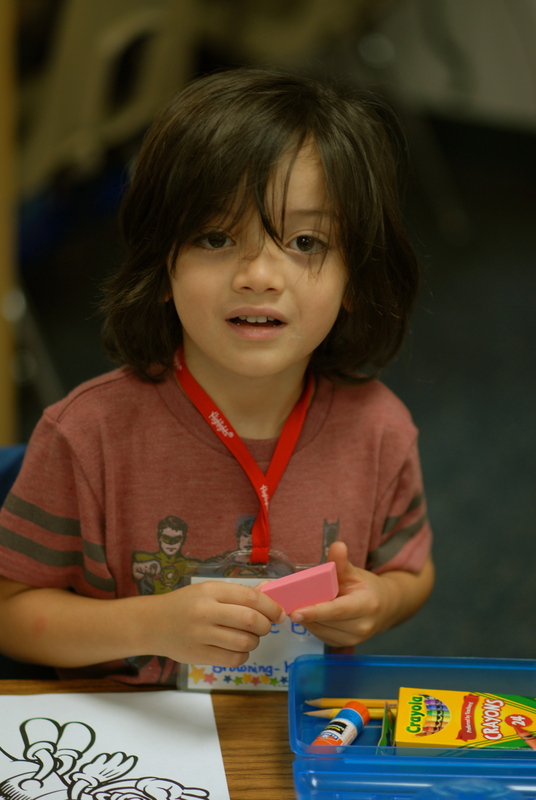 “You know… kindergarten is very different from pre-K. They need routines. Many of our students know how to read by the end of kindergarten,“ the counselor proudly relayed. My child, he has been reading for well over a year. If you would get to know him, you would know that already. Isaac was probably trying to figure out why in the world the scissors didn’t work. He has used regular scissors for over a year. “Kindergarten is a tough transition for some kids, especially those who attend Montessori,” the counselor attempted to comfort me. He did not attend Montessori school. You would know that if you checked his file, and even if he had, do you really think it’s a good thing to make such generalities? “Please discuss this with your child when he gets home today,” she said judgingly. “If his behavior continues, he will have to be sent to In School Suspension (ISS),” she warned. What? He is in kindergarten! This is the first week of school. Why in the world would an elementary school have ISS????? Shell shocked, I hung up the phone. I left my classroom, walked into the hallway, and cried. Who in their right mind thinks it is okay to be so stern with a kindergartner? On what planet is this exchange building trust between parents, students, admin, teacher, and counselor????? Really? Well, by the way, I find the list of nonsensical, overly harsh, judgmental, inconsequential “offenses” that my 5-year-old committed to be ridiculous! All of this on the first week of school!!! I called my husband and asked him what he thought about putting Isaac back at Primrose for the year. He agreed to do whatever was best for Isaac. We had him reenrolled by the end of the day were set to complete the paperwork for his exit of the other so-called school on Monday morning. When I picked up Isaac that afternoon, all I wanted to do was hold him. He rushed into my arms. I thought he would be sad because of his visits to the various offices and discussions with strange adults, but he was in surprisingly good spirits for someone who had been threatened with ISS and seen the principal and counselor. What in the world???!!! Now, that’s mixed messages. This was not the place for my Isaac. That’s not the kind of start any parent wants his or her child to have. Please. Please remember the privilege we have of spending a year with these children, of being trusted not only with their minds but also with their hearts. It’s the beginning of a new school year. Let’s make it great. Let’s make our learners want to return everyday with a love to learn, an enthusiasm to take risks, and the passion to help their community. And thank you. Thank you for everything you do… for everything you do makes a difference to your learners. Previous Connected Learning… Global Learning for All!